Unlock Samsung Galaxy S3 I9305 - Safe IMEI Unlocking Codes for You! Unlock Samsung Galaxy S3 I9305 Handset! In case your Galaxy S3 I9305 doesn't ask for the code and there is no designated field to enter it, please DON'T PLACE ANY ORDER, contact us first for support. Unlock now your Samsung Galaxy S3 I9305 smart phone and use it with Any GSM SIM Card worldwide! See here The Complete List of Handset! How to Unlock Samsung Galaxy S3 I9305 Phone - Tutorial! Please find bellow a step-by-step guide to follow in order to unlock your Samsung Galaxy S3 LTE GT-I9305 handset. I got a phone from Spain Orange can you unlock it? can you provide code for my Samsung Galaxy S3 I9305 smart phone that I got from my friend its from Sprint USA. plz help me unlock my Samsung handset from Secomtel Brazil. i wondered if refund is available? Can you assist me during the whole process? Hi! I owned Samsung Galaxy S3 from USA Advantage and I want to use it in Sweden can you help me unlock it? Is their expiration for the codes? What if after I received it I will not use it right away? I owned S3 can you provide code? It's from NJ tmobile! Thanks for fast and easy process! How many hours do i need to wait for the codes after I request? Hi. 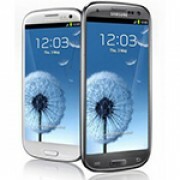 Are the unlock codes available for Galaxy S3 EE UK?